I’ve been busy so there’s nothing new to show at the moment (this will change soon). 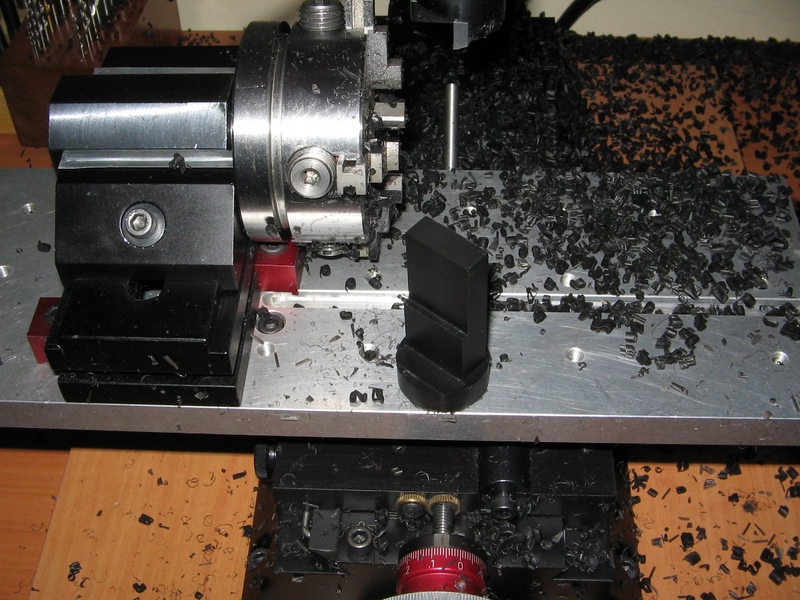 So in the meanwhile here are some old pics of the ongoing manual lathe to cnc convertion. I start this project with used Sherline parts (a not well cared bed, headstock and tailstock I bought on ebay). 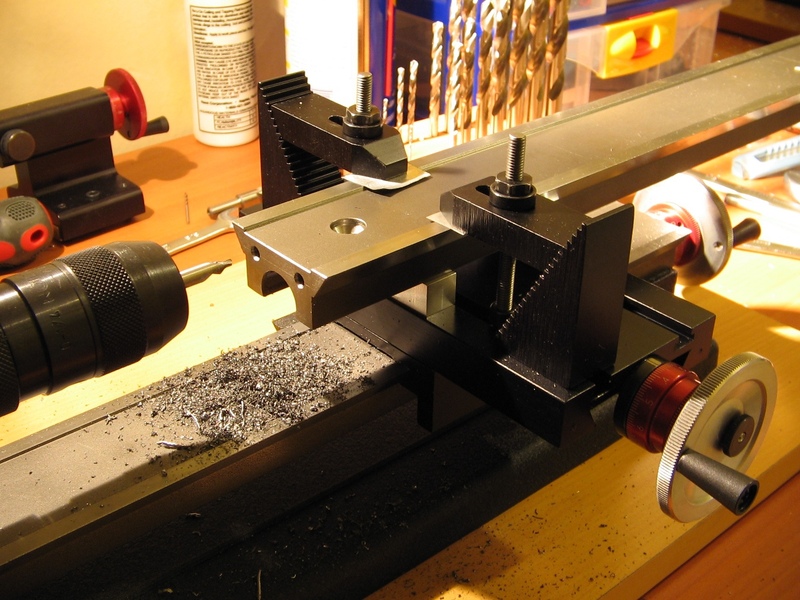 – Using the manual lathe to drill to motor mount holes on the bed. 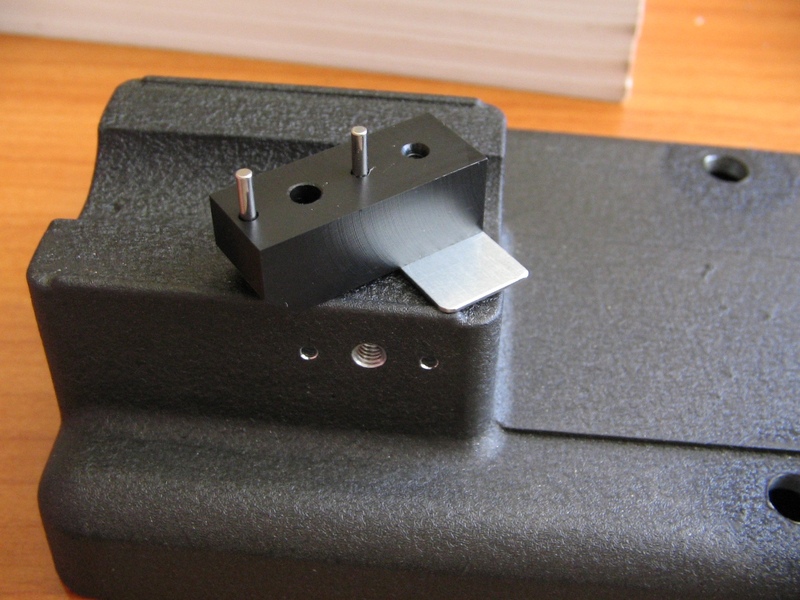 I use some custom made aluminum blocks to raise the bed to the required height. 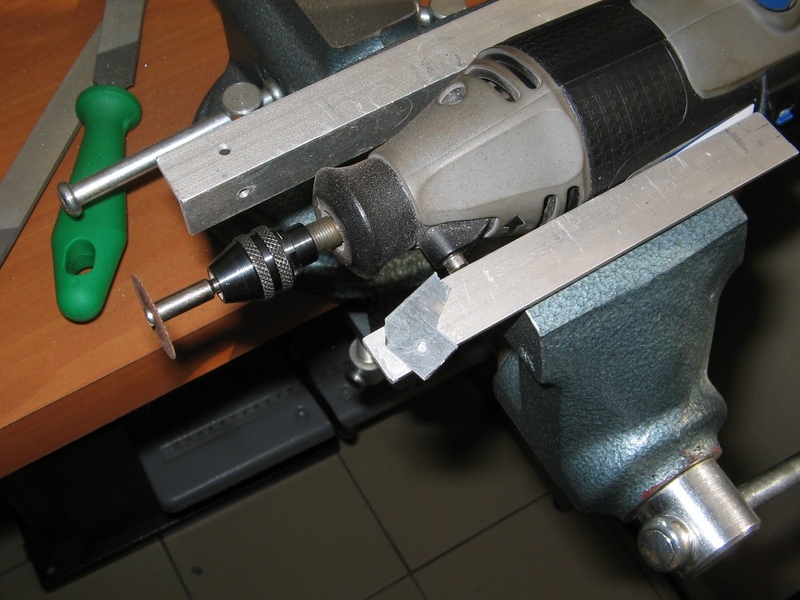 – Adapting the leadscrew thrust. 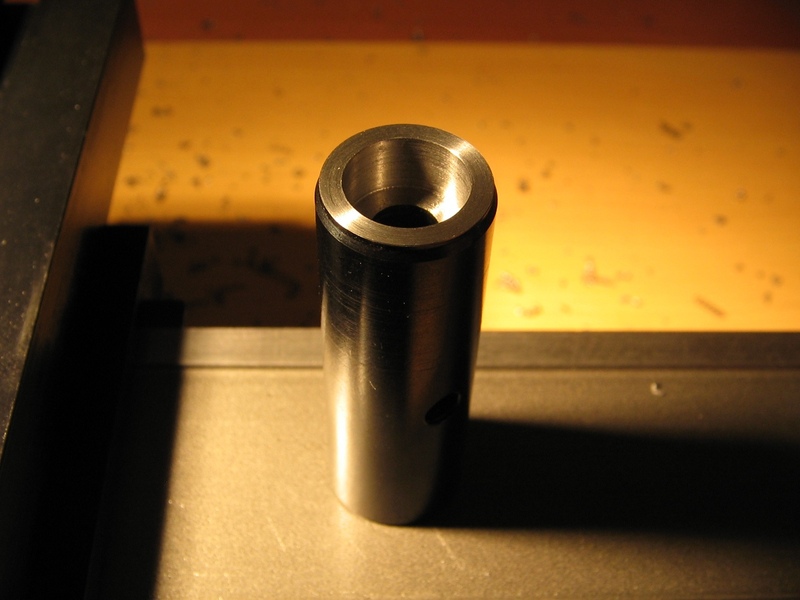 – A custom made nut to fix preload nut (I think this is better than glue). 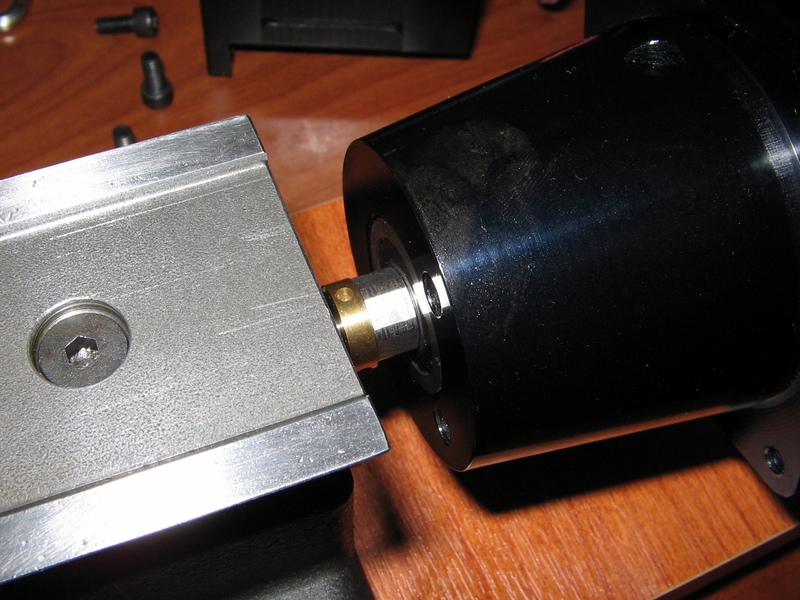 Please note that I bought cnc motor mounts only, not the full upgrade kit, so I must adapt the leadscrew also (this was a bit tricky). 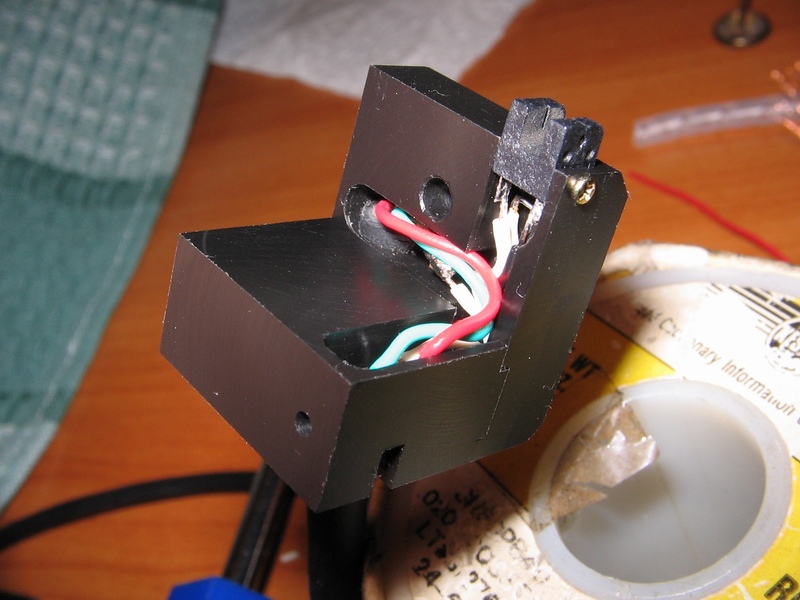 – Making a limit sensor. Sure, this is not required, but it’s handy and nice to have. I use delrin and some floppy drive sensors. 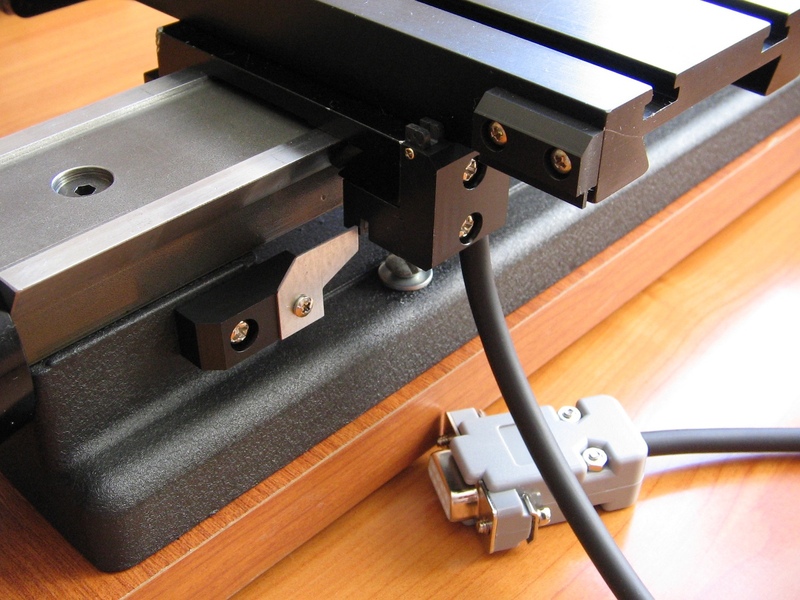 – Limit flag and mount for the Z axis. – A better flag. 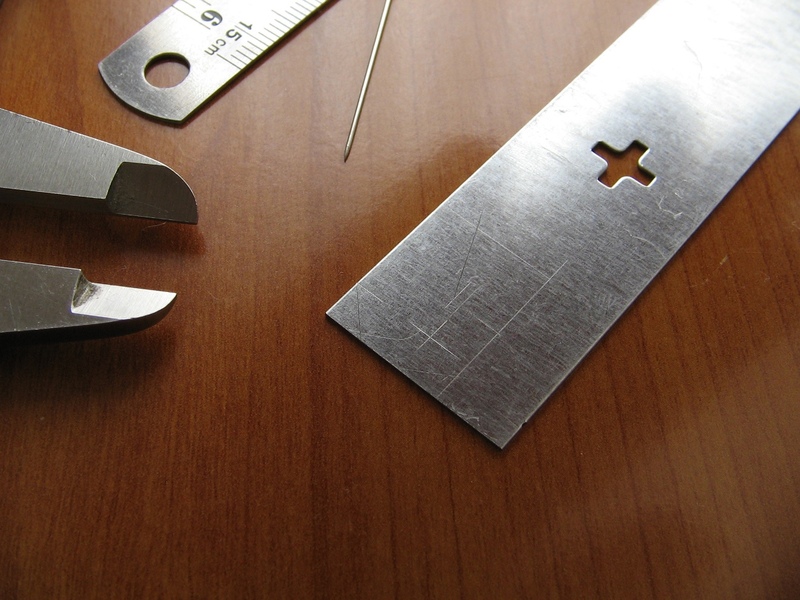 I hate this way of cutting metal sheet, but didn’t had the table saw at this point. I use scrap sheet metal from a pc case. – Full assembly of the limit sensor. That is. May be a fixed sensor on the rear would be a better idea, but nevertheless this limit sensor works very nice. 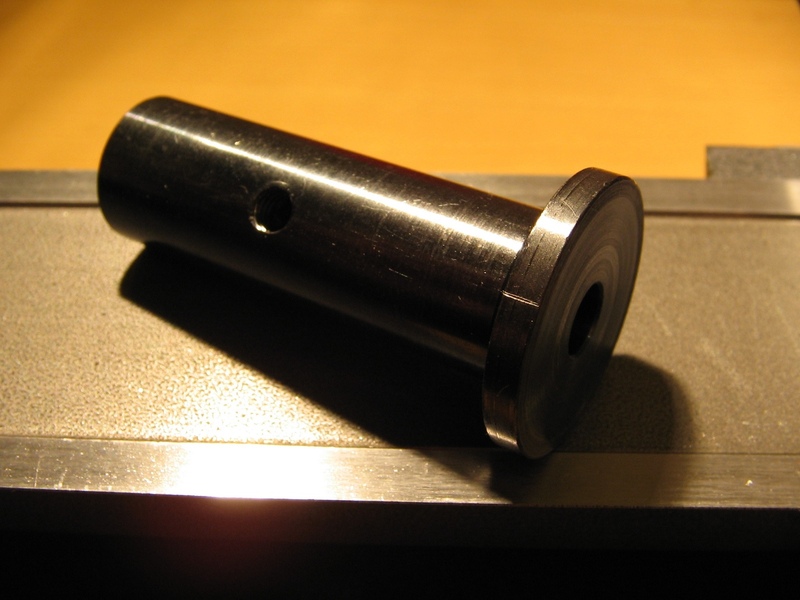 I must admit homing the lathe has something hipnotic. 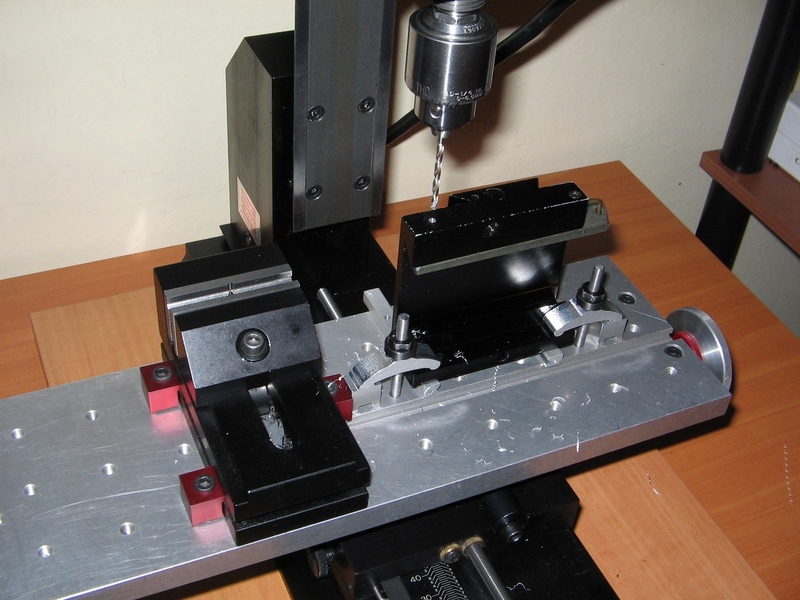 I bought the CNC kit to do the upgrade. The most frightening part to this conversion was the drilling of the motor mount holes on the end of the bed as I did them freehand. I’m planning to add limit switches. How did you cut the 55.5 degree dovetails to clamp on the bed? Also, yours don’t look like those lever type I bought. What are they? Hi. I didn’t cut any dovetail; please check again. 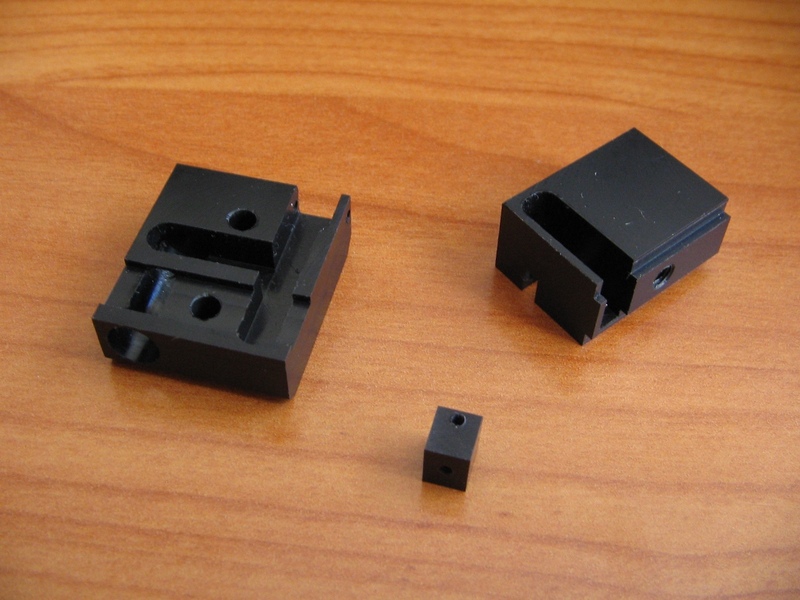 These sensors are slotted optical switch type, commonly used in printers; simply put they are phototransistors. I use one of the smallest packages, as I wanted something small, but there are larger ones like this (they are easier to mount also). Sorry. Was viewing on my iPhone. Mistook the black strip on the right as a DIY mount. I am interested in your homing system. What is the resolution? Good question. I haven’t done systematics tests, but from what I remember in the worst case I was able to see repeatability error was max. 0.01 (something like five times in the SAME exact position and one time 0.01 or less away).